There’s still time for your “Ask a tech guy” questions. I’ve already gotten a great question from Elle which I’ll write about on Monday, but I’m happy to answer anything you’d like. Contact me in the comments, or by using the contact button in the blog menu. Recently digital comics giant Comixology has been signing up publishers to offer all or most of their titles with DRM free backups. Prior to this, Comixology comics could only be accessed on-line, or through an app which stored the comics in a proprietary DRM “protected” file. For me personally this means all of the comics I actually paid money for on Comixology I now truly own (mostly Star Trek from IDW and Lost at Sea from Oni). Significant for me among this “second wave” of DRM free publishers is IDW. IDW has held the Star Trek license since 2006, and is mostly responsible for my near definitive Star Trek comics collection always being out of date. 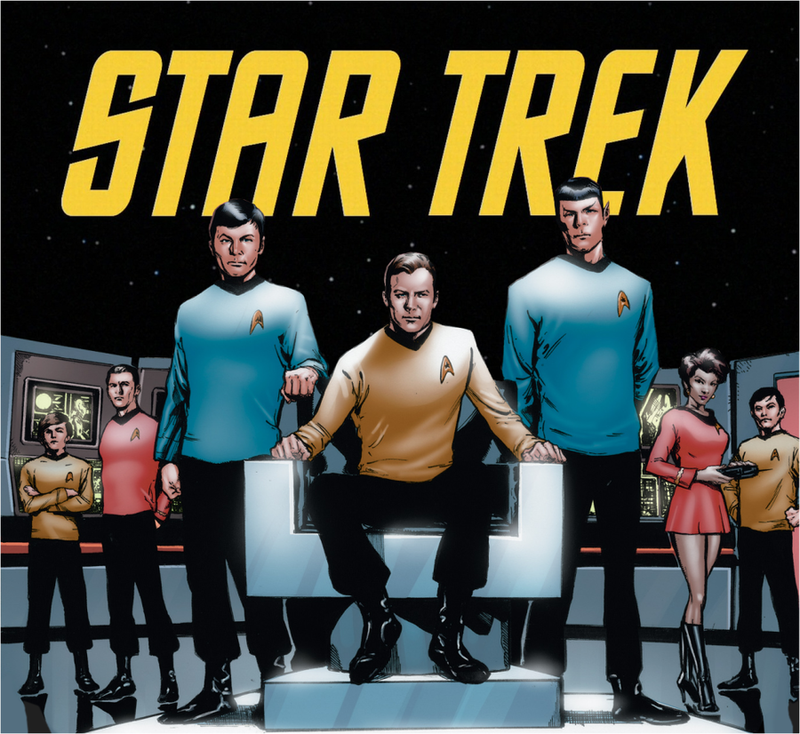 IDW has been prolific in its publication of Star Trek titles, opting mainly for a mini-series model of between 4-6 issue stories across a broad section of the Star Trek universe. This can make it difficult to find all IDW titles, since you first have to find the names of all of the mini-series rather than collecting numbers of an ongoing series (though now IDW is also publishing a monthly series involving the new Star Trek cast that is somewhere in the 30’s in terms of issues). Comixology makes everything easy to find, and for half the cover price (if you’re willing to wait a month or two). I’d purchased a number of IDW Star Trek titles during a Comixology Star Trek sale (just prior to the release of the second J. J. Abrahms movie), but was irritated to learn how these titles were actually provided to me. This was also before I learned that the trick to most Comixology sales is to wait till Amazon price matches the issues and buy from them. But Comixology has one upped Amazon (even though Amazon owns the company) with DRM free. The comics are provided in CBR (rar zipped image folder) and PDF formats. With the CBR you can extract and combine comics as you like, and better compress them for your own hardware (Hello Star Trek Ongoing Omnibus 1-20). While advertised as a backup, what Comixology has effectively done for me is eliminated the need for using their app at all. IDW and Oni really make this worth it for me with great titles like Scott Pilgrim, Star Trek and Letter 44. Image was in the first wave, but I could buy DRM free directly from them as well, and usually did. However, Comixology’s purchase mechanism is far faster, and downloads from Image seem to picky about the browser I use, so I may start buying Image from Comixology as well. Now two publishers are conspicuously absent from DRM free (and I bet you can guess which ones). In fact DC has raised its prices on a number of its graphic novel collections on Amazon from $9.99 to $12.99. *sigh* Guess it’ll take me a little longer to catch up on Fables. Marvel also does not offer DRM free. But DC and Marvel aren’t really the one’s I’m buying interesting titles from these days anyway. As for the files themselves the PDF’s seem a little bloated (sometimes nearly 200 MB for a little over a 100 page document). My tablet only has about 4GB of space for comics and I have to keep reading them to clear space for more. But the raw CBR does give me the ability to compress to a better size, so I can always make my own optimized PDF. Overall I’m actually pretty excited about this. Comixology probably has jumped to number 2 in the places I’ll buy my comics (behind Humble Bundle which ironically offered a lot of the Star Trek comics I had from Comixology in a bundle two weeks ago).